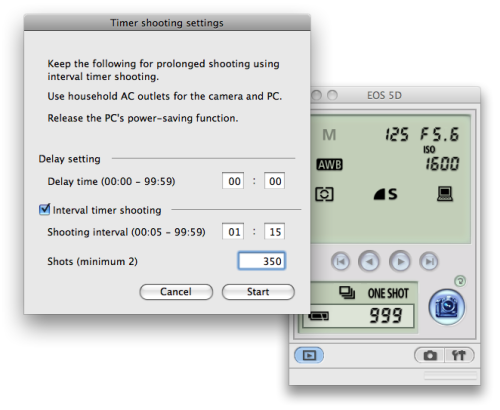 This is an amazing little utility that comes with the canon 5D. It lets you control every setting on your camera on the computer once you connect it via USB. You can also automate the process of taking photos at any interval you want.